One Postcard a Day: How the Grinch Stole Christmas! According to USA Today, UPS was overwhelmed by a large number of Christmas packages, many of which were delayed nation-wide and would not arrive until today. 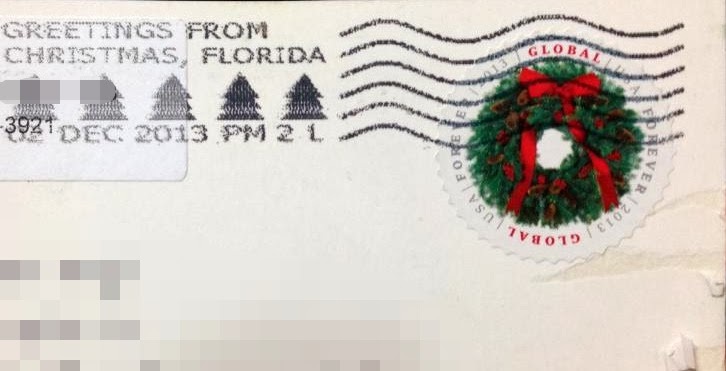 On a different note, quite a few postcards I sent to Christmas, Florida to get their postmarks reached their destinations without any postmarks. Postcard US-2518598 to Germany was one of them. Tracking information shows the package that contained those cards was delivered to the Christmas, Florida on November 25, 2013. I had attached post-it notes on the cards to request cancellations. 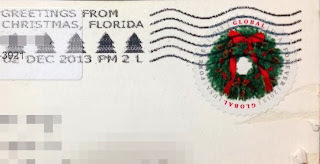 If the "Christmas, FL" postmarks were applied, they would have made great Maxi cards. 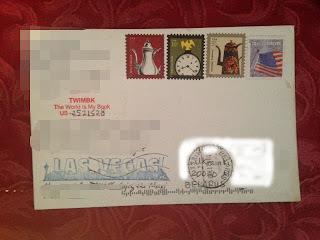 Similarly, postcard US-2521528 to Belarus didn't get any postmarks for the stamps either on the front or on the back. However, it did score a Belarus postmark on arrival. Maybe the bar code on the bottom would tell where it had been and what happened. A couple of cards from the same package did get a machine cancellation. 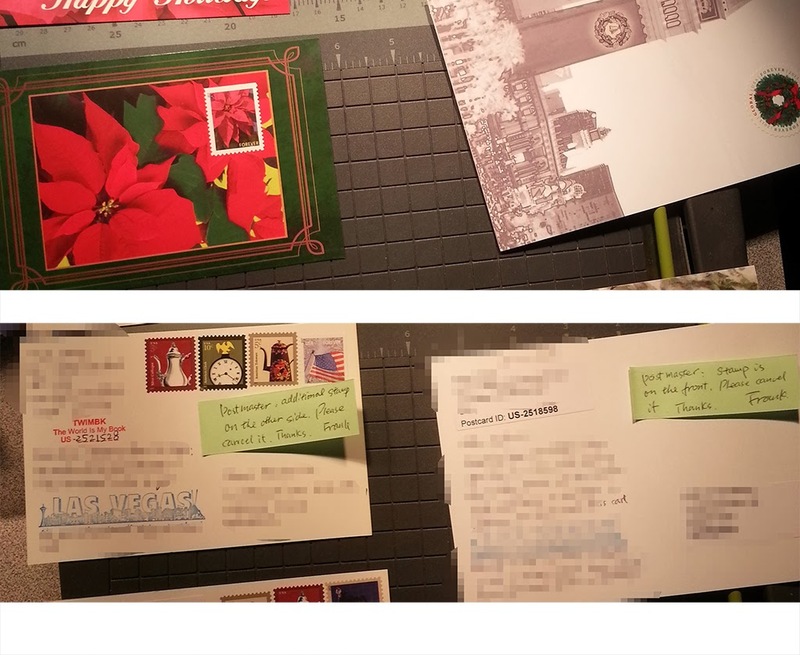 So, for those who received my postcards without "Christmas" postmarks, I initially felt horrible because I promised something that was eventually not delivered in spite of extra money, time, and effort that I spent -- The Grinch literally stole the "Christmas" from the cards. The Grinch is a bitter, grouchy, cave-dwelling fictional character, created by Dr. Seuss, who stole Christmas presents and expected to cause bitterness and sorrows. But to his dismay, he still hear the singing joyous Christmas songs from people who lost presents. 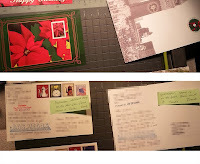 I was overwhelmed by recipients' comments that how much they like the cards, with or without the promised postmarks. 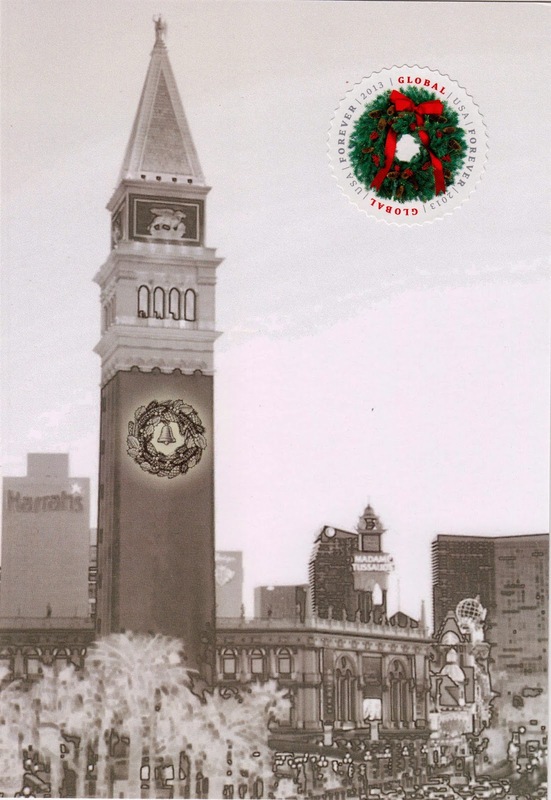 In the end, Christmas is more than presents; and a sincere greeting is more than a postmark. For those whose Christmas gifts are delayed, hope you are grateful when you eventually receive the package. Someone special is thinking of you, and the holidays are not over yet.